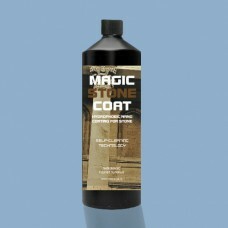 Magic Stone Coat protects stone surfaces with a super durable, breathable and undetectable glass coating. 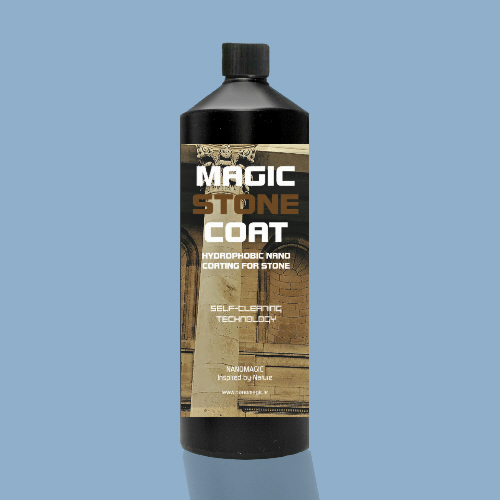 This easy to apply coating protects stone against soiling, moisture, abrasion, algae and the negative effects of weathering. 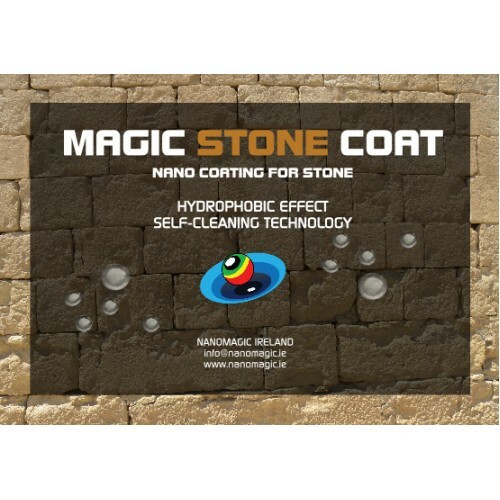 Magic Stone Coat was conceived in such a way that deposit of pollutants is reduced to a minimum and damages from environmental influences are prevented. Through the hydrophobic / oleophobic effect of the protective coating, dirt particles such as fat and oily materials, lime and materials from environmental influences can no longer be absorbed directly through the stone surface. Dirt particles are easily removed without the need for abrasive cleaning solvents or machines. Due to its inorganic network structure, the coating is extremely durable.